Take the next few nights to celebrate the stars! The International Dark Sky Week is a worldwide event, and part of Global Astronomy Month – going on now! The goals of IDSW are to appreciate the beauty of the night sky and to raise awareness of how poor-quality lighting creates light pollution. Join IDA online! Post about dark skies awareness on the social media sites, and you can follow the IDA on Facebook, Twitter, G+ and any other social media you like. And if you would like to become a partner email [email protected] to learn more. See a list of existing partners here. Check around your home. Make sure your outdoor-lighting fixtures are well shielded — or at least angled down — to minimize “light trespass” beyond your property. Do you have security lights that stay on all night? Consider adding a motion-detector, which can pay for itself in energy savings in just a few months. You’ll find lots of great suggestions in “Good Neighbor Outdoor Lighting” and you can perform your own outdoor lighting audit. Talk to your neighbors. Explain that bright, glaring lights are actually counterproductive to good nighttime vision. Glare diminishes your ability to see well at night, because the pupils of your eyes constrict in response to the glare — even though everything else around you is dark. Show them this handout. International Dark Sky Week poster. Image courtesy Sean Parker Photography. Ask your local library if you can put up an IDA poster showing good and bad lights. 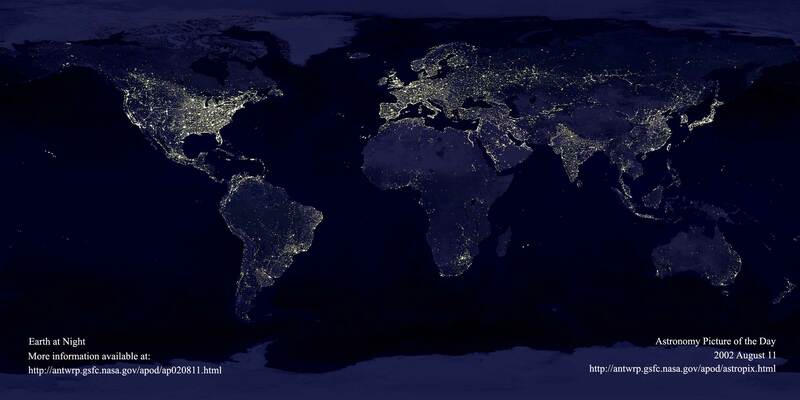 Include a photo of the Earth at night, and take some pictures around town that show examples of good and bad lighting. Become a Citizen Scientist with GLOBE at Night and similar programs, observe light pollution wherever you are and contribute to reports coming in from across the globe about light pollution. Or join GLOBE at Night’s Adopt-A-Street program and ‘map’ light pollution in your community. Become a Dark Sky Ranger. Teachers and families can do these activities that include an outdoor lighting audit, a game, and hands-on crafts to help visualize the night sky better. In English. In Portuguese. Attend or throw a star party! International Dark Sky Week is a great opportunity to dust off the old telescope in your attic and use it share in the wonder of the universe with your family, friends, and neighbors. Visit the Night Sky Network to find a calendar of star parties or to find an astronomy club in your area. Click here to find out what’s up in the sky. This activity book is full of great activities for budding stargazers of all ages! Photograph the sky and enter it in the 2013 International Earth and Sky Photo Contest, run by The World at Night, or photograph some constellations and submit the pictures to the Dark Skies Photo Project to measure light pollution. Fantastic!! The light pollution problem is the biggest pain in the neck to the urban astronomer and dark sky sites are becoming too far apart for some to travel. Let’s hope an international effort will get people to sit up and take notice of the problem. Nicely written Nancy!